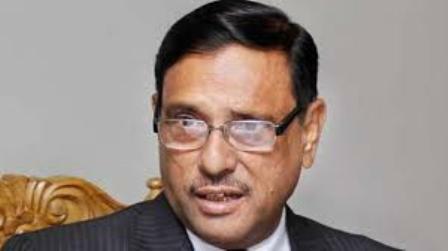 Awami League General Secretary and Road Transport and Bridges Minister Obaidul Quader on Saturday said his party is prepared to face any conspiracy in guise of dialogue to thwart the general election. “We are alert so that none can make any evil design of carrying out sabotage after taking part in dialogue for eye-wash,” he told journalists after placing wreath at the portrait of Father of Nation Bangabandhu Sheikh Mujibur in front of Bangabandhu Bhaban at Dhanmondi here on the occasion of Jail Killing Day. Quader said they want participation of all registered political parties in the national election. But if any party resorts to violence, it will be given a befitting reply, he added. About the dialogue of different political parties, the AL general secretary said it will not be possible to hold any more dialogue after November 7 as the election schedule is going to be declared soon. “Dialogues should end by November 7. The election schedule would be announced soon. So, it will not be possible to continue dialogue for long,” he added. He said a total of 85 political parties communicated seeking time for discussions. 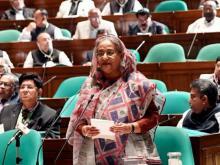 About the jail killing day, he said the four national leaders were brutally killed as a sequel to the assassination of Bangabandhu and most of his family members with a view to making the Awami League leaderless.